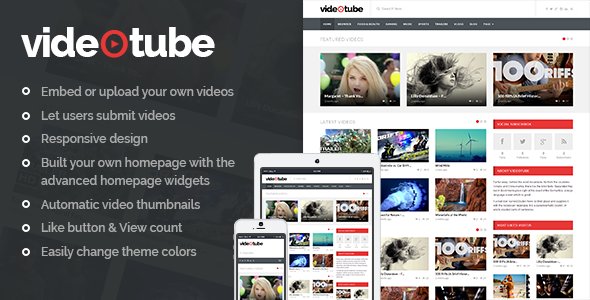 Whether you’re embedding preexisting videos from giants like YouTube and Vimeo or showcasing creations of your own, Videotube offers a clean and modern platform to do just that. Item Reviewed: New Responsive Video WordPress Theme 9 out of 10 based on 10 ratings. 9 user reviews.